Numerics, the unified business dashboard app for the iPhone, iPad, Apple Watch & Apple TV, in its newest update introduces integrations to help users get their KPIs from Google BigQuery, Amazon API Gateway and DreamFactory alongside numbers from various cloud services. v4.3 also adds HelpScout, Pinterest along with new Google Analytics integrations that support Google Adsense, Adwords, AdExchange, Ecommerce and Double Click Campaign manager. 28th July 2016 – Mumbai, India: Numerics, the business dashboard app to track KPIs, by Cynapse, in its latest version introduces a bunch of shiny new integrations to monitor key metrics from custom business systems like SQL / NoSQL databases, Big Data, Amazon AWS and more. Businesses large and small across the world are deploying Numerics dashboards on their devices and dedicated large TV screens to track their business metrics like live analytics, engagement metrics, revenue and more. While Numerics integrates with many cloud services, a large number of businesses depend on custom designed business software for their day to day working. Since it’s early days, Numerics has focused on enabling users to connect to this valuable data residing in internal business systems behind firewalls and present it on users’ dashboards. Google Spreadsheets, Custom JSON and Salesforce SOQL connectors are all part of this initiative. With v4.3, Numerics is strengthening its resolve in this direction by introducing more such integrations including Google BigQuery, Amazon API Gateway and Dream Factory. With the Google BigQuery integration, users can now visualize KPIs and gain insights from massively large datasets in Numerics dashboards. 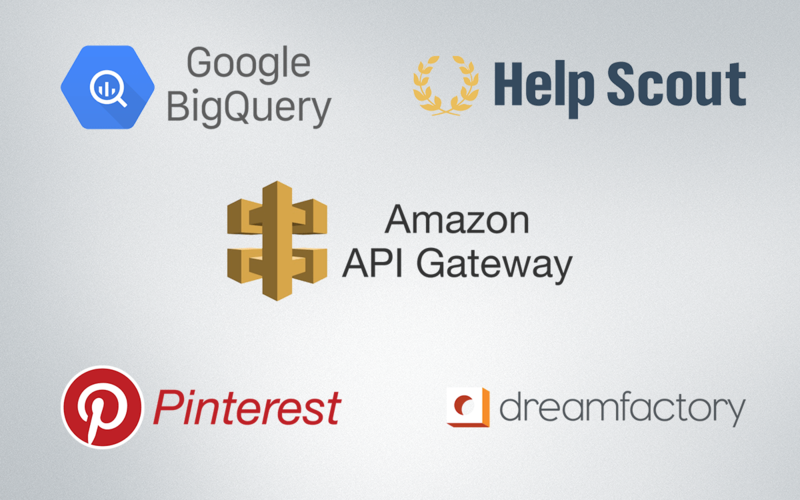 Any user hosting their business software on Amazon AWS can use the Amazon API Gateway to create an API for their custom software and connect it with Numerics to track their metrics. And the Dream Factory integration allows users to connect any of their SQL / NoSQL databases to Numerics and visualize their most important numbers. Apart from these, Numerics v4.3 adds integrations to popular cloud services like HelpScout and Pinterest. The new version also adds support for revenue and advertising based numbers in the Google Analytics integration. These widget packs include Google Ecommerce, Google Adsense, Google Adwords, Google Ad Exchange and Google Double Click Campaign Manager. Numerics v4.3 bundles some new features and improvements for the Apple Watch app too. Complications for Numerics app for the Apple Watch have been a key aspect of enabling users to quickly glance at their most important number on their wrist when they need it the most. v4.3 adds support for the Utilitarian Small type of complication. Numerics now supports Modular Large, Utilitarian Small and Large and Mickey Mouse watch faces. Highlighting KPIs with background colors in Numerics not only makes the dashboards look wow, but they also help users focus on the numbers that matter the most. In v4.3, Numerics adds a new set of darker background colors enabling users to further help them visually identify trends, patterns, and anomalies in order to make effective decisions. Numerics 4.3 also packs in various small improvements and bug fixes. An entire list of What’s New is available on the App Store.